With more than 30 year’s experience, Brian Johnston’s knowledge and expertise position him at the very top of the international hospitality industry. He started his career in the UK pub business, managing real estate and projects before joining GrandMet (now Diageo) in 1984. Brian began his International career in 1990 when he moved to Paris as Real Estate Director to develop Haagen Dazs’ European network of flagship shops. He then joined Burger King in Germany to lead the development of company and franchisee restaurants. As Senior Director of Business Development, Brian led Burger King’s entry into various new territories in Europe, the Middle East and North Africa. In 2012 he joined Rosinter Restaurant Holdings in Moscow, Russia’s leading casual dining company, as Senior VP, Property, and Development & Franchising. 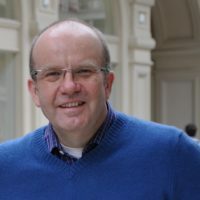 Brian joined wagamama in April 2014, as International Managing Director, responsible for managing, developing and growing the franchise business.